The next species that I have decided to write about is an insect that is very elusive. 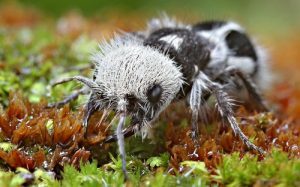 The scientific name for the species is Euspinolia militaris, but the common name for the insect is the panda ant. The name is fitting to a degree, but is also widely inaccurate. The “ant” is actually a species of wingless wasps. It is nicknamed panda because its coloring and markings resemble those of a panda. The panda ant was discovered in 1938, and has a habitat of Chile’s dry coastal regions. Since the panda ant is an insect it is also an invertebrate meaning it has no bone structure, and instead has a thick exoskeleton. The exoskeleton on this particular species is very thick so that researchers sometimes even have trouble getting a steel pin through it. The thick exoskeleton is also useful to retain water. 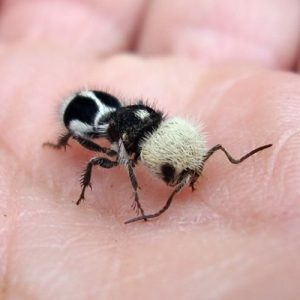 The panda ant also has a powerful sting. The sting is so powerful that it has been able to kill cows(most likely through more than one sting). The panda ant also displays extreme sexual dimorphism, which means that the female and males of the species are so different that it is hard to know they are the same species unless they are seen mating. The males of the species are much larger and have wings. The females of the species are wingless and are the only ones that have stingers. The males are nocturnal, while the females are active during the day. The insects reproduce sexually and have an unusual mating ritual in which the male carries the female while flying to mate. 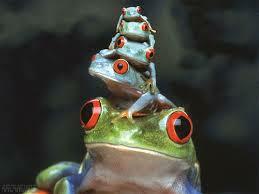 After mating the female will lay her eggs on the eggs of another species. The eggs will hatch and then eat into the larvae of the other species for its first meal. It will grow for a time inside the larvae and eventually kill it. Once it emerges the insect eats only nectar. The panda ant lives for about 2 years, and lays about 2000 eggs at a time.